While we've heard plenty about the vast numbers of iPhone and iPod applications being downloaded from the App Store, Apple hasn't said much about their value, meaning curious observers have been playing a financial guessing game. 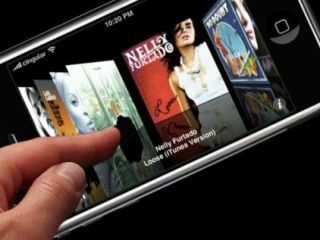 Bernstein Research in the US has had a crack and estimates that apps alone pull in up to $110 million (£69 million) per quarter for Apple through the iTunes/App Store channel. Considering the company's most recent quarterly earnings of $8.34 billion (£5.23 billion), that guess puts iPhone apps at around 1 per cent of the total. Still, it's not bad for revenue that's essentially skimmed off other developers' sales. The report's author says why this is significant nonetheless: "We believe that the App Store is fundamentally changing the dynamics of the smartphone industry by migrating it to an application-centric device, where first-mover advantage is significant." In other words, foster a marketplace where consumers have a vast choice of software with easy access, and the likelihood of anyone buying an iPhone before, say, an Android handset shoots up as the selection grows.